If you are not sure what is permalink, let me first explain about it. Permalink is the short of Permanent link. It represents the URL of a web page or blog post. URL of an article also affects the ranking of a web page. 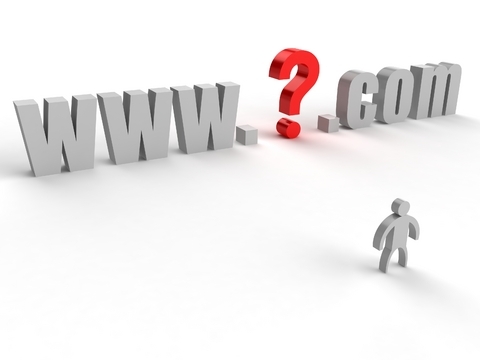 This is why, it is important to find out the best URL structure for a website. Read about permalink structure on Wiki. This URL structure is not recommended. So, you must change this to make it more meaningful and SEO friendly. In this tutorial, I will show you how to have a SEO friendly URL in WordPress. I will also tell you how to change the permalink of a WordPress blog. What is SEO friendly URL and Why We Should Have SEO Friendly URL? SEO friendly URLs contain keywords that explain the blog post. It is good for both search engines and visitors. Having keyword in the URL increases the chance of ranking for that specific keyword. We all want to have better search engine ranking in Google and other search engines. Google gives a website extra advantage if it has target keyword in URL. So having an SEO friendly permalink structure in WordPress is must to increase the organic traffic. This looks ugly and not search engine friendly. You can have something like this To change it, follow these steps. This URL contains the keyword and looks better. Now select Custom Structure and write this. It will add the title of your post in the URL. Permalink Structure of this blog is also the same. We all include primary keyword in the title of the blog. So this permalink structure will also have main keyword of the post in the URL. There are so many ways you can organize the URL structure of your website. WordPress give many options for this. If you want to add .html extension at the end, you can use something like this. If you also want to include category in the URL use this permalink structure. If you want to have something else you can use following things permalink. %monthnum% – Month of the year when post was published, for example, 12. %postname% – A sanitized version of the title of the post (post slug field on Edit Post/Page panel). So This Is A Great Post! Becomes this-is-a-great-post in the URL. If you are a news blog, I recommend to include month and year in the permalink structure. Otherwise, you can just go with the postname. I also recommend you to edit manually the permalink to make it short but meaningful. Too long URLs are also not good for SEO. I recommend you to use any of these permalink structure. WordPess will automatically redirect old URLs on new permalink structure. It will change your .htaccess file permalink redirection. If your website is old, I recommend you not to change the permalink structure. If you have so many posts indexed in Google, Changing permalink structure will affect your search engine ranking. So you should also do 301 Redirect to tell search engines that you have permanently moved URLs. If you are thinking to do the same, you must take extra precautions or hire a professional.